Judge Jeanine Pirro weighed in on James Comey’s testimony on Thursday in front of the Senate Intelligence Committee. 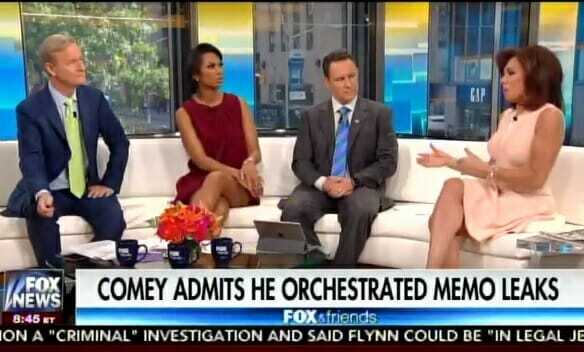 Pirro called Comey a predator who wanted to take President Trump down. Judge Jeanine: James Comey comes across as someone who is so wily and so calculating… He gets to the point that he says, “I’m going to start leaking this stuff now.” What is is about his time his background as a prosecutor. And, what I would like to know is, is he the leaker? is he the guy who was so comfortable. And the answer is why did he didn’t leak it himself, and the seagulls and the beach, is hogwash… The fact that he is so comfortable, that he leaks this to a liberal professer, tells me he was a predator. He was looking to take Donald down. What he wanted to do is take the president down. He is an operator. He is part of the liberal elite.